If you are planning a home building or home remodeling project chances are you are going to need to pull a home building permit or home remodeling permit. 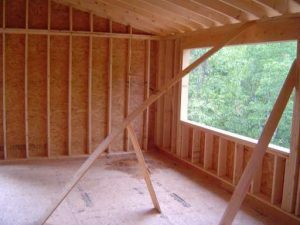 In fact your home building/remodeling project may require multiple permits, if for example it involves various aspects such as framing, electrical and plumbing. Home building permits, or home remodeling permits are designed to protect your investment and family from dangerous conditions stemming from shoddy workmanship or ignorance of national and local building codes. By pulling a home building permit you are obtaining project oversight over your contractors’ workmanship. Pulling a home building permit, or home remodeling permit, lets your town or city know, that you are building a home or remodeling your home. When pulling building permits, you should bring along your project plans when visiting your town or city hall. The municipality’s building inspector will review the plans for compliance to building codes, and property setbacks, and other local rules and regulations. As part of the home building permit process, the local building inspector will make periodic visits to your home building or remodeling project to confirm that the project is indeed being constructed to your building plans and the national and local building codes. More specifically, as you reach certain milestones in your home building project you will contact the building inspector to inspect the work to date. In order to move forward with the project you will need the inspector’s approval of the prior workmanship. 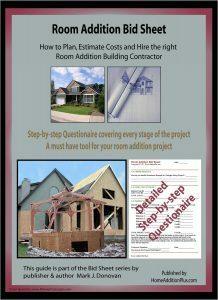 Home building permits are priced relative to the cost of the home building or remodeling project, so it is important to accurately estimate the cost of the project. You will not want to overestimate the cost of the project as this will cost you more in building permit fees. 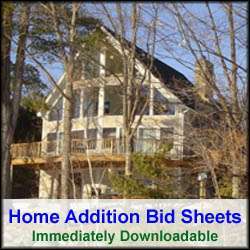 So when do you need to pull a home building permit or home remodeling permit? If you are building a new home, you will need to obtain a home building permit. Again, you should bring to the municipal building inspector a complete set of building plans for their review. If you are a planning a home remodeling project, then you should visit your local building inspector, to see if you need a home remodeling permit. Most likely you will. If, for example, the home remodeling project requires the modification or movement of a load bearing wall you will need to get a permit. Likewise, if you are changing the roof line, modifying or installing new electrical wiring or plumbing fixtures, or adding a new door or window, you will need to get a home remodeling permit. In addition, if you are installing a new deck or pool, even an above ground pool, you will need to pull a permit. Typically you do not need to pull building permits or home remodeling permits if you are just making replacements, such as replacing windows, doors, flooring, bathroom fixtures or electrical fixtures. So before you decide to start a home addition project, check with your local building inspector before construction begins. If you start a home remodeling project prior to pulling a building permit you are at risk of the municipality providing you with a cease and desist letter. In some cases, they can even require you to demolish your building/remodeling work. It is not worth your family’s safety and the financial risk to skip this very important part in a home building or remodeling project. Building permits are cheap compared to the cost of the overall project, and the penalties that can be foisted upon you if you neglect them.